When Yanyu Zheng met Zhang Dazhong, the chief executive of Alibaba’s new sports venture, she convinced him to give her a job. Such persuasiveness was no doubt gleaned at ESADE Business School, where the Shanghai-based senior product manager spent two years earning an MBA, in Barcelona. Alisports is Alibaba’s foray into the creative industries. Alisports’ businesses include sports copyrights, media, events, and ticketing. Alibaba is the world’s largest e-commerce company, with annual sales of $462 billion. 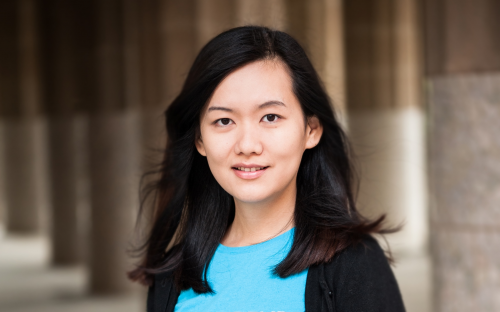 Yanyu believes the degree at ESADE, ranked among the world’s top-25 business schools by the FT, was crucial to securing her MBA job. The multiculturalism — 95% of ESADE’s MBAs are from outside Spain — is attractive to Chinese employers, which are increasingly “going global”. Previously, the former ESADE Sports Business Club president worked at FC Barcelona, the Spanish football club that is home to stars such as Lionel Messi. She developed and led the club’s Chinese communications strategy. Before that Yanyu worked for Tencent, the $200 billion Chinese internet giant, as the company’s first and only Chinese online sports media correspondent, in Barcelona. Where does your passion for sports come from? Everything started during high school. I was really bad at sports, but the culture of my school totally changed my career and life paths. In China, most schools focus only on academic results and do not care much about young people’s development in creative areas. But my high school really encouraged everyone to include sports in their lifestyle. I still remember quality moments with my classmates in those years: playing basketball together and reading sports journals while sharing opinions on the latest news from the European football leagues. When I visited the school last year — nine years after graduating — I found that the same culture was still alive, if not stronger. What was your greatest achievement at FC Barcelona? I would say my role in the club’s international expansion as its first Chinese employee. When I joined FC Barcelona, I was one of very few foreign employees, and probably the only non-European. The club achieved superb results in winning important competitions during those years, but its internationalization efforts were still in their infancy. I was in charge of communications for China. The results — Chinese website visits, social media reach and engagement — were always splendid thanks to the great and still fast-growing enthusiasm for football in China. Together with my colleagues on the international communications team, we succeeded in positioning the club as the best among all European football clubs in terms of social media for many years in a row. Why did you decide to begin an MBA at ESADE Business School? I first heard of ESADE from a Catalan friend many years ago. At the time, I had no idea about business studies, but I clearly remembered the names of many ESADE alumni he mentioned, including many FC Barcelona presidents. Since that moment I have always dreamed of becoming an ESADE graduate myself. When I worked at FC Barcelona, I had many colleagues who had graduated from ESADE, and I saw amazing qualities in them that made me even more curious about the school. After three years working in the communications area, I reached a point where I felt like acquiring more business knowledge. Naturally, I chose the ESADE MBA over all other options, and I am very happy with my choice. How did you convince the CEO of Alisports to give you a job? Actually, my interview with the CEO was easy. I was very confident in my value for the company because of my strong academic and professional background in the sports business. We had a great conversation, sharing ideas about the company’s future strategy. Why is an MBA in Europe valuable to a Chinese company? A Chinese school is always dominated by Chinese students and culture. At many European business schools, there is no dominant culture or student group, and it provides a truly international environment. Many Chinese companies are at a key moment in their international expansions. The fact that doing business in China has its unique rules was once an obstacle for multinational firms entering China. Now, it has become a key challenge for Chinese companies that are going global. Many of these Chinese companies are looking for talent with superb intercultural communications skills, and a global vision for business. European MBAs are well-prepared to meet this need. When it comes to the sports business, it makes even more sense, because sports have been and always will be without any national or linguistic boundaries. What’s it like living and working in Shanghai? In Shanghai, there is something unique for everyone, whether you are Chinese or a foreigner. It’s a metropolitan city that’s very convenient for living, shopping, transportation, cultural experiences and entertainment. And the weather is also quite good (compared to the pollution and harsh winters of northern Chinese cities). Shanghai is also a hub for talent and international business, where you can always meet interesting friends and encounter new and exciting business opportunities.